Had an early Morning light Breakfast and my morning workout, off to the grocery store after that. Went to Walmart and then to Kroger. Food prices just keep climbing higher and higher! While at Kroger I picked up a prescription for Dad and I was leaving I ran into an old High Scholl friend who had not seen since the early 80’s, been a while! We talked for about 15 minutes it was good catching up with her. 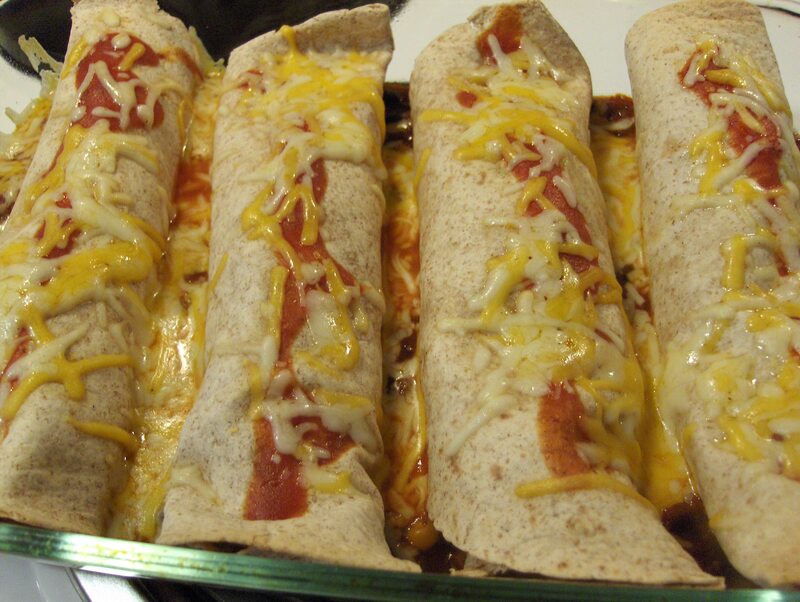 For dinner tonight it’s Chicken Enchiladas. 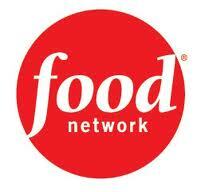 I came across this recipe idea in an issue of Food Network Magazine, courtesy of Ree Drummond. My recipe varies slightly from her original recipe, I didn’t top mine with diced Tomatoes before serving. To make the Enchiladas I’ll need the following; 3 Mission Flour Tortillas, 2 tablespoon Roasted Ground Cumin, 2 tablespoon Chili Powder (plus more for sprinkling), 2 tablespoons Cajun Spice, 1 teaspoon Sea Salt, 1 teaspoon freshly Ground Black Pepper, 2 boneless, skinless Chicken Breasts, 1/4 cup Extra Virgin Olive Oil, 1/2 medium Red Onion (diced), Three 15-ounce cans Red Enchilada Sauce (or use Green if preferred! ), 3 cups Sargento Shredded Reduced Fat Cheddar-Jack Cheese (plus more if needed), Daisy Reduced Fat Sour cream (for serving), and Chopped fresh Cilantro, for serving. Then to prepare them I preheated the oven to 350 degrees F. Then one at a time, held the Tortillas over the stovetop burner (heated to medium heat) to brown slightly, about 30 seconds per side. Set the warmed Tortillas aside. In a bowl, mix together the Cumin, Chili Powder, Cajun Spice, salt and pepper. Sprinkled both sides of the Chicken Breasts with the Spice Mix. Heat the oil in a skillet over medium heat and cook the Chicken on both sides until done in the middle and the juices run clear, 4 to 5 minutes per side. Set aside on a plate to cool, then shred finely with a fork. Threw the Onions into the same skillet, stir them around and cook until deep golden brown and caramelized, 4 to 5 minutes; set them aside on a plate. 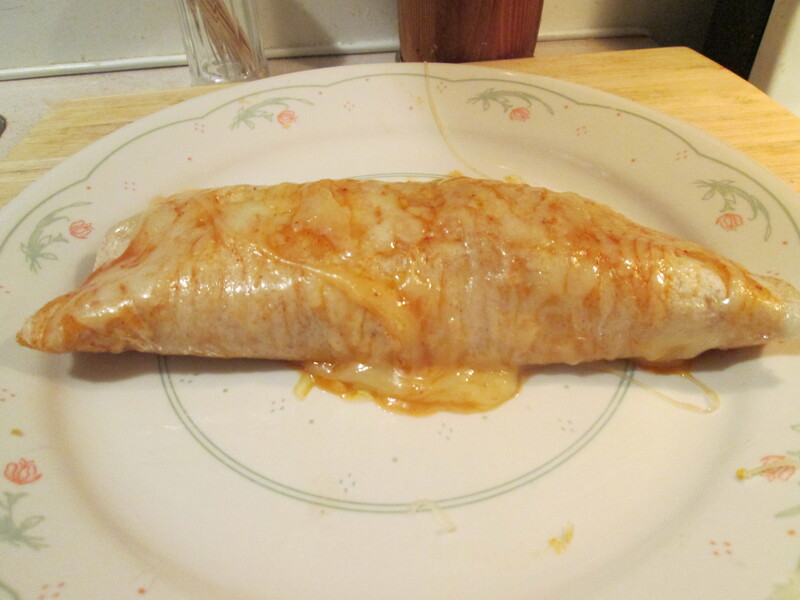 Pour the Enchilada Sauce into the skillet and reduce the heat to low, allowing it to warm through. 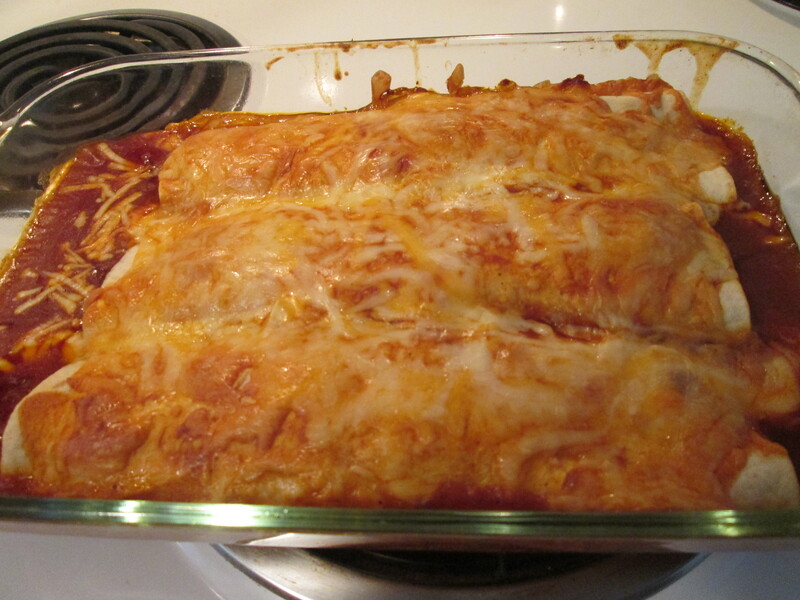 To assemble the enchiladas: Pour 2 cups of the Sauce into a 9-by-13-inch Casserole Dish and leave the rest in the skillet. Dip a Tortilla into the Sauce in the skillet, then lay it on a baking sheet or plate. Sprinkle some Cheese down the middle, followed by some Chicken and finally, some of the Caramelized Onions. Roll it up tightly, then place it seam-side down in the Casserole Dish. Repeat with the rest of the Tortillas. 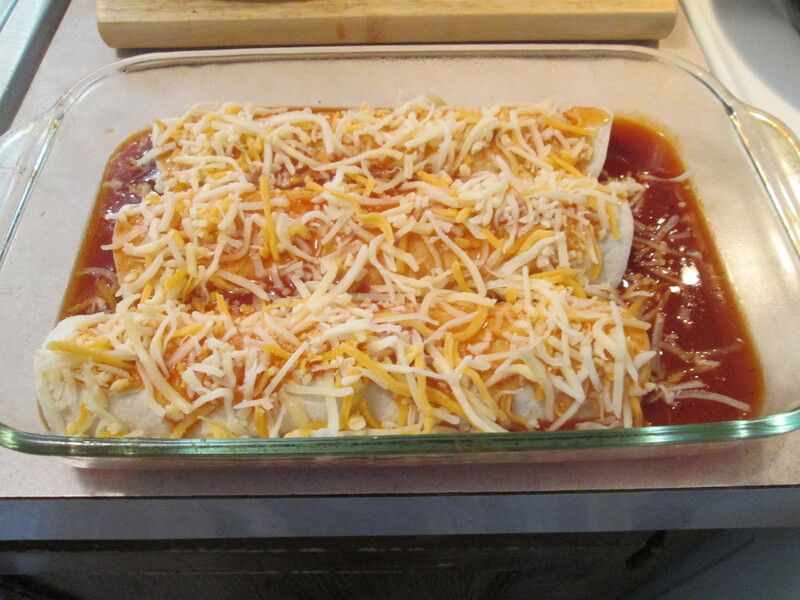 Pour the rest of the Sauce over the Enchiladas, then sprinkle on the rest of the Cheese. Give it a final sprinkling of Chili Powder. Bake until hot and bubbly, 30 minutes. Let it sit for 15 to 20 minutes before serving. 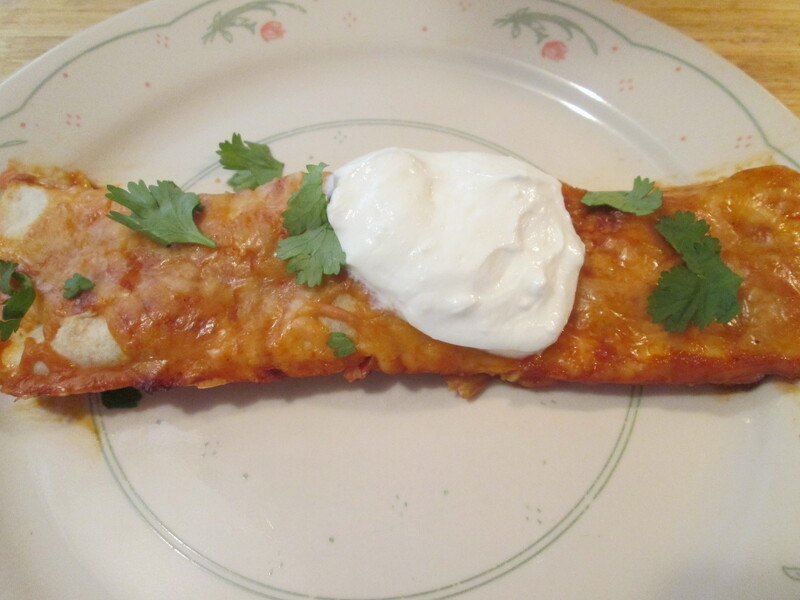 Serve the enchiladas topped with a dollop of sour cream, a sprinkling of cilantro and a wedge of lime. And time to enjoy these babies! Hot, Cheesy, Flavorful, with nice Heat, not to over use the saying but it’s a “Winner, Winner Chicken Dinner!” Another Keeper Recipe courtesy of Ree Drummond. The original recipe along with the web link is at the end of the post. For dessert later a bowl of Breyer’s Carb Smart Vanilla Bean Ice Cream. One at a time, hold the tortillas over the stovetop burner (heated to medium heat) to brown slightly, about 30 seconds per side. Set the warmed tortillas aside. Another cold and windy day, but finally some sunshine mixed in! Busy most of the day. In the morning I went to Kroger for a few items. Then back home to get a few things done around the house. Back out then I had to do Mom’s Christmas Shopping for her, she’s still not up tp par. Doctor said it would just take time. 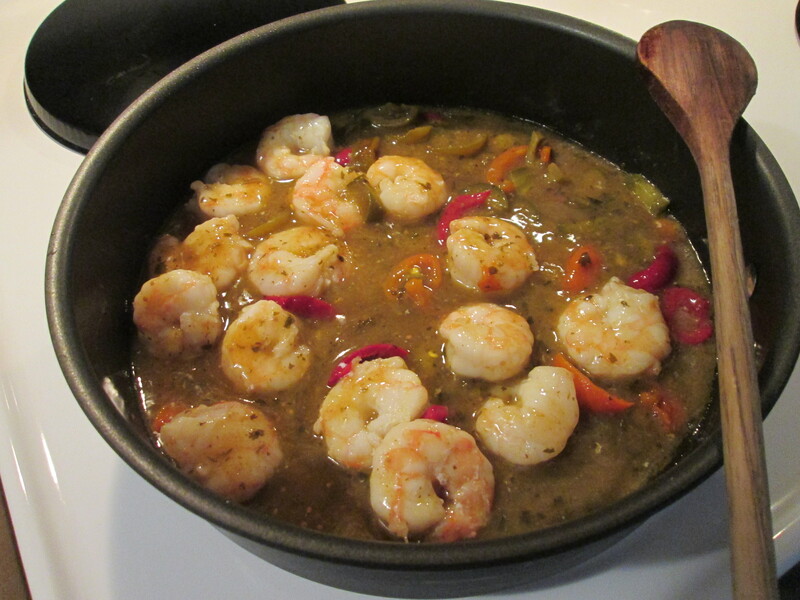 For dinner tonight it’s Sweet Pepper, Cilantro and Green Chile Shrimp Fajitas. I used a packet of the Ortega Cilantro and Green Chile Skillet Sauce. I’ve used this a few times now and love it! 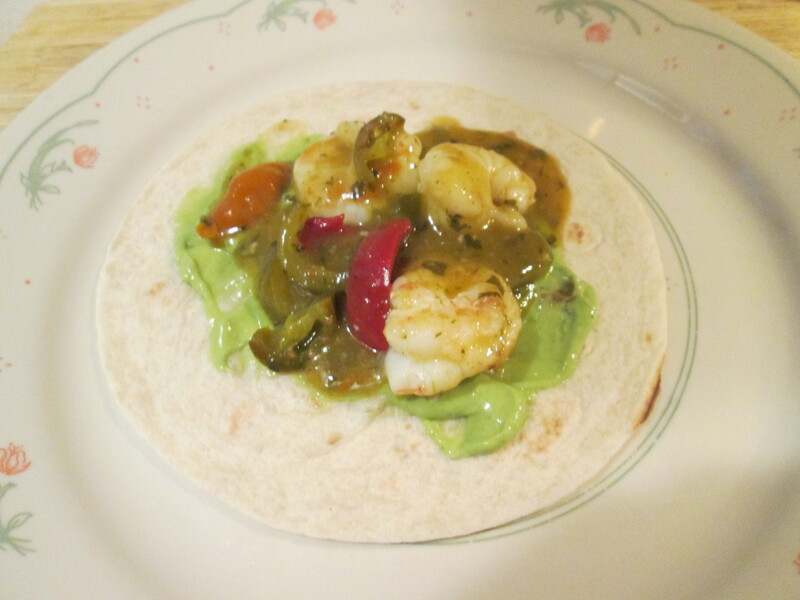 To prepare it I used a bag of Kroger Seafood Jumbo Shrimp along with the packet of Ortega Cilantro and Green Chile Skillet Sauce, Delallo Tri-Color Pepperazzi Spicy Sweet Peppers, Chopped Jalapeno slices, fresh Shredded Sargento Asiago Cheese, and Mission Flour Tortillas. I heated up a tablespoon of Extra Virgin Olive Oil in a medium size skillet over medium heat. I started by slicing the Sweet Peppers into strips and adding them to the skillet, stirring them and cooking until tender (about 4 minutes). Stirred in the Shrimp and sliced Jalapenos, stirred this until the Shrimp just started turning pink. Then added the Ortega Cilantro and Green Chile Skillet Sauce, cooking another 4 minutes till everything was heated through. What an aroma coming from the skillet! Heated up the tortillas in the microwave for 20 seconds and topped them with Guacamole and the Shrimp Taco Mixture. I also topped it some fresh grated Asiago Cheese, and served. 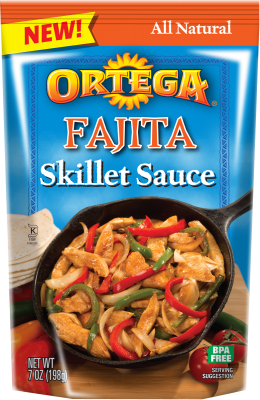 I keep packets of the Ortega Cilantro and Green Chile Skillet Sauce in stock, it makes on delicious Fajita! Had a nice heat to it but not overpowering and the taste of the Ortega Sauce is incredible! For dessert later a Healthy Choice Dark Fudge Swirl Frozen Greek Yogurt. Beautiful morning out today! It heated up though as the day went on, mid 80’s. Had the cart out early doing some minor repair work on it and then rode around most of the morning. Went to Walmart and picked up a few items and purchased some eave drain pipe extension hoses for some of the drain pipes and back home for the day. For dinner tonight Pulled Buffalo Chuck Roast Fajitas. Leftovers from Dinner 2 nights ago turns into tonight’s dinner! I’m using the Wild Idea Buffalo Pulled Buffalo Chuck Roast that I made a Sandwich out of and using it for Pulled Buffalo Chuck Roast Fajitas tonight! 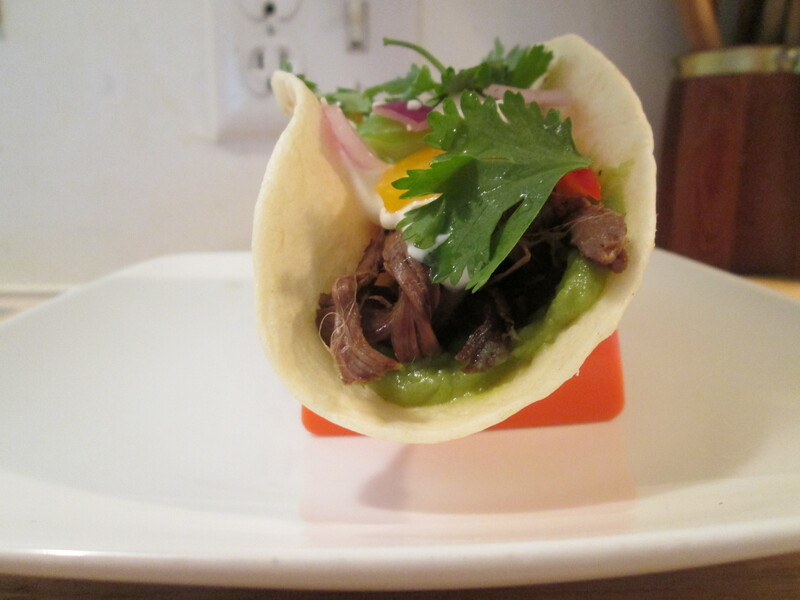 To make my Fajita I’ll be using; Wild Idea Buffalo Pulled Buffalo Chuck Roast, Ole Fajita Flour Tortillas, Wholly Guacamole, Daisy Light Sour Cream, Fresh Cilantro, Diced Red Onion, and Sliced Sweet Peppers. 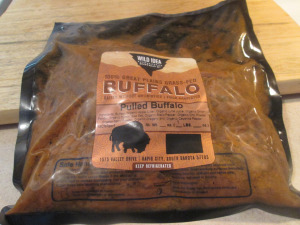 I think you could use the Wild Idea Buffalo Pulled Buffalo Chuck Roast for any dish and it would be delicious! It comes marinated in Organic Apple Cider, Organic Lime Juice, Onion Powder, Cumin, Sea Salt, Black Pepper, Chili Powder, Paprika, Garlic Powder, Oregano, Cayenne Pepper. So with all that you know it’s going to be good! For dessert later tonight a bowl of Breyer’s Carb Smart Vanilla Bean Ice Cream topped with some fresh sliced Georgia Peaches that I picked up earlier. Too Good! Our pulled Buffalo Chuck Roast is rubbed with our own blend of Mexican seasonings and then slowly braised to fall apart tender. We’ve done the work for you, so all you need to do is heat and eat! Use in all of your favorite Mexican dishes, like tacos, enchiladas and quesadillas. Or add your favorite barbecue sauce for great tasting B.B.Q. sandwiches! Went to Meijer early this morning to pick up a few items I needed. As I was checking out it started pouring the rain, as I reached the door to go out the Meijer greeter said that I couldn’t take the mobility cart out in the rain. So I asked her if somebody could pull my car up for me and I would load them up from there. She said no because of insurance reasons, so I asked her what I was supposed to do. She more less said I would have to wait for it to stop raining, which it wasn’t going to stop for quite a while. I then asked if the guy that gets the carts could come out and get the cart after I unloaded everything into my car, again no. So to shorten the story I took an empty grocery bag covered the controls, so they wouldn’t get wet, and took it out and unloaded my groceries. When done I grabbed my walker and took the cart back in out of the rain and walked back to the car. By the time I got in I was drenched and what really made me mad was two Meijer Employees stood there in full rain gear and just watched me, no attempt to lend a hand! I hope any of them are never in the position where they’re having to do what I did and no one attempts to help them. Oh well, life goes on! For dinner tonight; Sweet Pepper, Cilantro and Green Chile Shrimp Fajitas. I used a packet of the Ortega Cilantro and Green Chile Skillet Sauce. I’ve used this a few times now and love it! To prepare it I used a bag of Kroger Seafood Jumbo Shrimp along with the packet of Ortega Cilantro and Green Chile Skillet Sauce, Delallo Tri-Color Ppperazzi Spicy Sweet Peppers, Chopped Jalapeno slices, fresh Shredded Dutch Gouda Cheese, and Ole Fajita Flour Tortillas. I heated up a tablespoon of Extra Virn Olive Oil in a medium size skillet over medium heat. I started by slicing the Sweet Peppers into strips and adding them to the skillet, stirring them and cooking until tender (about 4 minutes). Stirred in the Shrimp and sliced Jalapenos, stirred this until the Shrimp just started turning pink. Then added the Ortega Cilantro and Green Chile Skillet Sauce, cooking another 4 minutes till everything was heated through. What an aroma coming from the skillet! Heated up the tortillas in the microwave for 20 seconds and topped them with Guacamole and the Shrimp Taco Mixture. I also topped it some fresh grated Dutch Gouda, and served. I keep packets of the Ortega Cilantro and Green Chile Skillet Sauce in stock, it makes on delicious Fajita! Had a nice heat to it but not overpowering. For dessert later a Skinny Cow Chocolate Truffle Ice cream Bar. Windy all day but it was sunny and a high of 50 degrees! The sun and temps melted a lot of our snow today but still a lot left. They say 60 degrees tomorrow but heavy rain and strong winds coming in with it. Went to Meijer and picked up a few items then stopped by the bank and filled the car up with gas. Got home in time to watch Team U.S.A. Hockey Team win another one, going to the Medal Round! 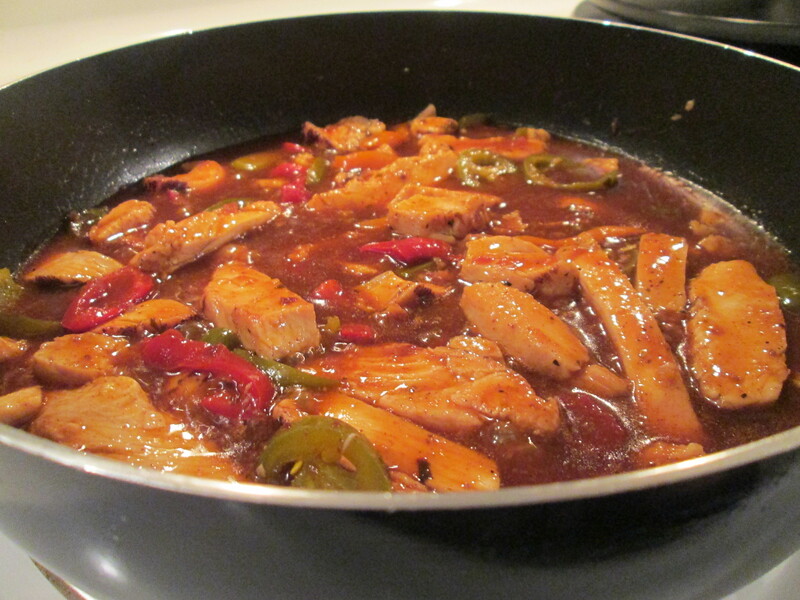 For dinner tonight another new one,Jennie – O Turkey Breast Tenderloin Fajitas. 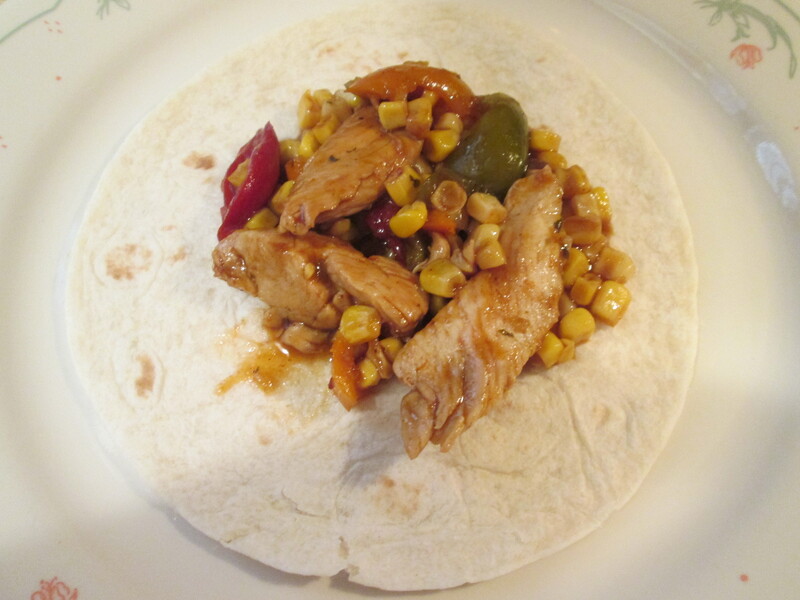 It was Fajitas tonight using Jennie – O Extra Lean Boneless Turkey Breast Tenderloins, Ortega Fajita Skillet Sauce, Delallo Tri-Color Sweet Peppers, fresh grated Dutch Gouda Cheese, Green Giant Summer Crisp Sweet Yellow and White Kernel Corn, and Ole Fajita Flour Tortillas. I had all the ingredients except for the Jennie O Turkey which I picked up at Meijer. As usual if I’m using Turkey it’s Jennie – O Turkey. To get started I heated some Canola Oil in a medium size skillet over medium high heat and adding my thin-sliced Turkey Tenderloins. I seasoned them with Sea Salt and a teaspoon of Roasted Ground Cumin. I cooked them until they were well-done, 165 degrees as measured by my meat thermometer. Came out a beautiful and moist golden brown and ready for the rest of the ingredients. 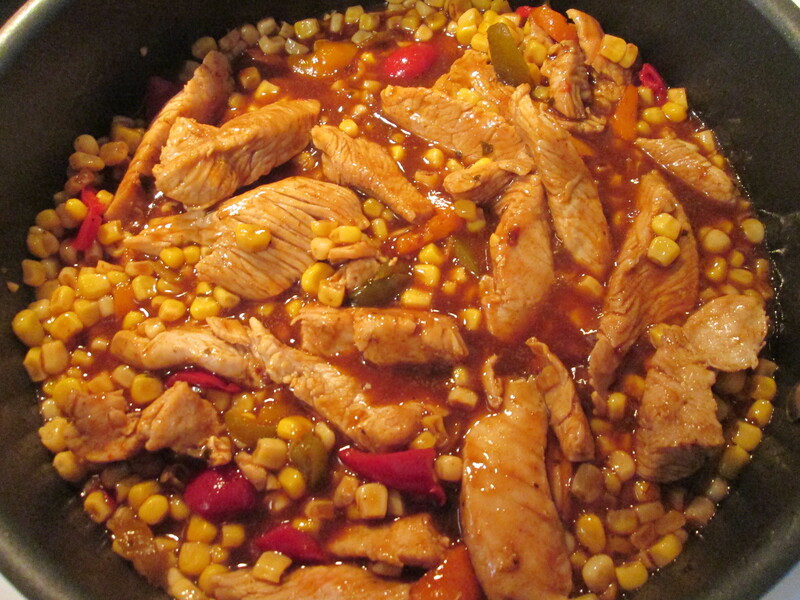 Removed the Turkey from the skillet and added the sliced Sweet Peppers and Sweet Corn Kernels, stirring often until both were tender. 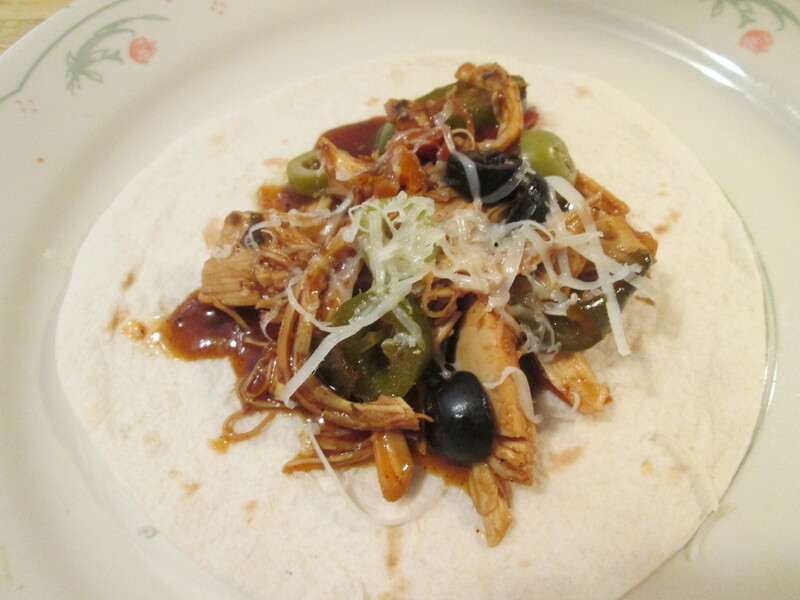 Then returned the Turkey to the skillet along with the packet of Ortega Fajita Skillet Sauce. Continued cooking for about 8 minutes until everything was heated through. Served the mix on a Ole Fajita Flour Tortilla, that I heated up in the microwave. Topped everything with some fresh grated Dutch Gouda and sliced Black Olives. What a meal! 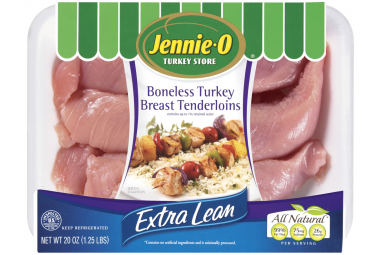 Love the Jennie – O Extra Lean Boneless Turkey Breast Tenderloins, always a winner! Also had a tablespoon of Daisy Reduced Fat Sour Cream on the side. For dessert later a Jello Sugar Free Double Chocolate Pudding topped with Cool Whip Free. The versatile, 99 percent fat-free turkey breast tenderloins can be used in quick meals or more refined dishes with equal success. Sray skillet with nonstick cooking spray or add 1 to 2 teaspoons oil. Place tenderloins in hot skillet. Cook, covered, 35 to 40 minutes. Always cook to well-done, 165º F. as measured by a meat thermometer. 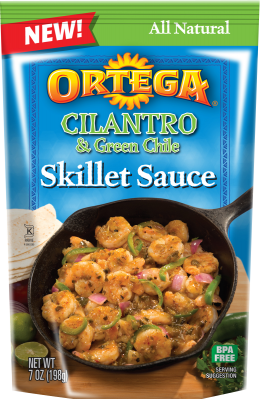 Enjoy Ortega’s delicious skillet sauce. Available in 3 great flavors in 7oz stand up pouches. 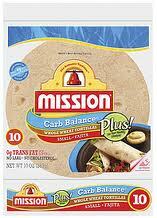 At Kroger early this morning I came across a new Tortilla, Ole Mexican Foods Low Carb Tortilla Wraps. When I seen those I had an idea right away for my lunch, 3 Bean Buffalo Chili and Cheese Tortilla! I used the Low Carb Tortlla, 3 Bean Buffalo Chili, and Kraft 2% Shredded Sharp Cheddar. Delicious and Light Lunch! Delivers all the advantages of high-fiber foods. Whole wheat flour, Enriched bleached flour (Wheat flour, Malted barley flour, Niacin, Reduced iron, Thiamine mononitrate, Riboflavin and Folic acid), Water, Cellulose fiber, Wheat gluten, Extra virgin olive oil; Contains 2% or less of the following: Xantham gum, Guar gum, Salt, Mono and diglycerides, Baking powder (Sodium acid pyrophosphate, Monocalcium phosphate, Baking soda), Calcium propionate, Sorbic acid (Mold inhibitor), Fumaric acid, Carboxymethyl cellulose, Sugar, Dough relaxer (Sodium metabisulfite, Corn starch, Microcrystalline cellulose, Dicalcium phosphate), Enzymes. I had no idea on what to have for dinner tonight. I needed a few items from the store so it was off to Kroger and while there hopefully come up with something for dinner. They happened to be preparing free samples of different items throughout the store and that’s when I found what I was going to prepare for dinner, Chicken Enchiladas! They were preparing some frozen Enchiladas for sampling and I thought I would prepare some homemade ones. I used a Kroger Deli Roasted Chicken. I reheated it before I used it by heating it in the oven at 325 degrees for about 20 minutes. After reheating it I pulled all the meat from the bones and took all the skin off of it. To assemble preheat you oven to 350 degrees. 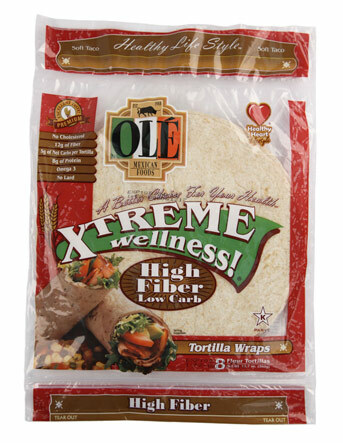 I used Gourmet Multi Grain Low Carb Tortillas, only 60 calories and 4 carbs per tortilla! For my toppings, along with the Chicken, I used Mt. Olive Roasted Peppers, Del Monte Summer Crisp Sweet Corn, Bush’s Light Red Kidney Beans, Old El Paso Enchilada Sauce, and fresh grated Monterey Jack Cheese. Just put the amount of toppings and Chicken you want in the center of the tortilla and start rolling the tortilla, fairly tight. Then lay the tortillas, seam side down, in a medium size Pyrex baking dish. The last steps pour the Enchilada Sauce over the tortillas and then cover with your choice of Cheese, I used fresh grated Monterey Jack. Then Bake at 350 degrees until Cheese is melted and tortillas are heated throughout. Let cool for about 5 minutes before eating. Everyone loved them!! The Monterey Jack is perfect for these, it melts just right. 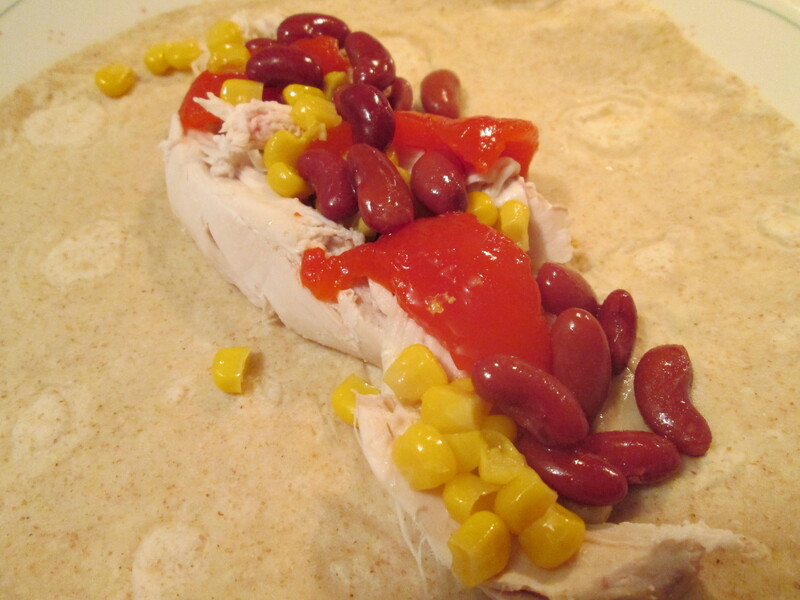 The Peppers, Beans, and Corn gives it great flavor. I’ll be preparing these quite often. For dessert later a Healthy Choice Vanilla Bean Greek Frozen Yogurt. Today’s Menu: Wow! This recipe turned out fantastic! I made some changes to recipe I had. I used Ground Turkey instead of Ground Beef, Low Carb Tortillas and Kroger naturally Preferred Organic Black Bean and Corn Organic Salsa. I know it’s good when my Mom can’t resist them. Brown Turkey in large nonstick skillet; drain. Stir in 1/2 cup salsa and 1 cup cheese. SPOON 1/4 cup meat mixture down center of each tortilla; roll up. Spread 1/2 cup of the remaining salsa onto each of 2 microwaveable plates. Place 6 enchiladas, seam-sides down, on each plate. Top with remaining salsa and cheese. MICROWAVE each plate of filled tortillas, loosely covered with waxed paper, on HIGH 2 to 3 min. or until heated through. Heat oven to 350ºF. Spread 1 cup salsa onto bottom of 13×9-inch baking dish. Fill tortillas as directed; place, seam-sides down, in baking dish. Top with remaining salsa. Bake 20 min. or until heated through, topping with remaining cheese after 15 min. Top each serving with shredded lettuce, chopped tomatoes and 1 Tbsp. Breakstone’s Reduced Fat or KNUDSEN Light Sour Cream. serving on a bed of Rice would be good also. With this one I’ll be posting all their Bread category’s and winners. Do you avoid the bread aisle just to escape the confusion felt by so many carb-conscious consumers? It’s true: Bread is a tricky product to buy, especially for people with diabetes. Now you can return to the bread aisle with confidence — thanks to a list of products that recently received the Diabetic Living What to Eat™ seal of approval. Our staff and dietitians picked through the loaves to find those that met our nutritional guidelines. Next we brought in more than 100 people, including PWDs, to taste the brand-hidden products. The top breads, buns, tortillas, and English muffins were awarded the Diabetic Living What to Eat™ seal of approval. The two finalists in the tortilla category were well received by tasters, who rated them on their texture, appearance, and taste. Why it won: This tortilla had a nice texture, and tasters felt it would hold up well to being stuffed with fillings without tearing. We like that it has only 12 grams of carb. and 8 grams of fiber per tortilla!